Do you love cute dogs? What about cute people? Enter the Blairs, Gisele and Steven. She’s a coder and he is in the Navy. 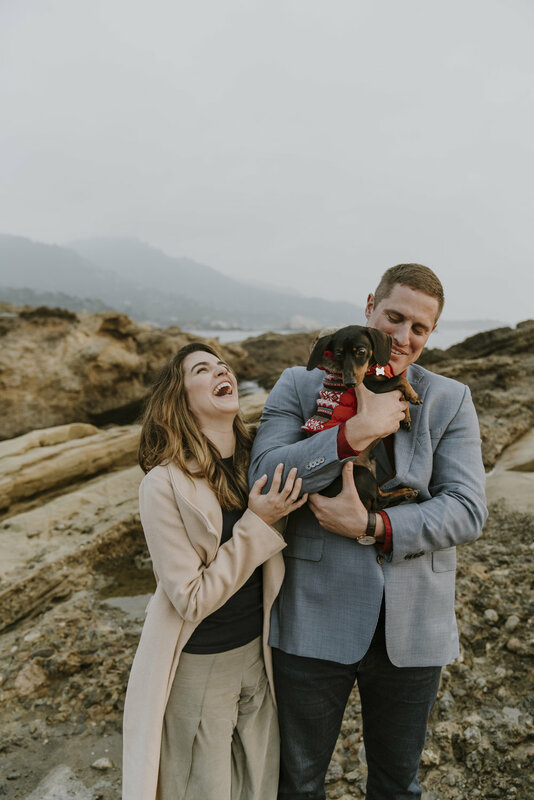 They are a cutie couple living in the small town of Pacific Grove, California with their adorable Dachshund, Aldo. It is known as the “crown jewel” of California’s state parks - there are 280 of them for reference. Thanks Wikipedia. It is located in Carmel, California right before the famous Big Sur coastline begins. This location is only one of two places where the Monterey Cypress trees are native. The other place is the resort-town Pebble Beach. Spoiler alert, this gorgeous couple lives right next door to me. Their dog Aldo and my cat Santa have a long-term turf war going on that’s quite humorous to observe. We are all still convinced that one day we’ll happen on the two of them snuggling somewhere when they think no one is watching. I had the immense pleasure of photographing these two cuties just days after they were engaged. Dylan is in Medical school at the University of Michigan (smarty-pants alert!) now so Lauren thought a proposal was still a few years out. 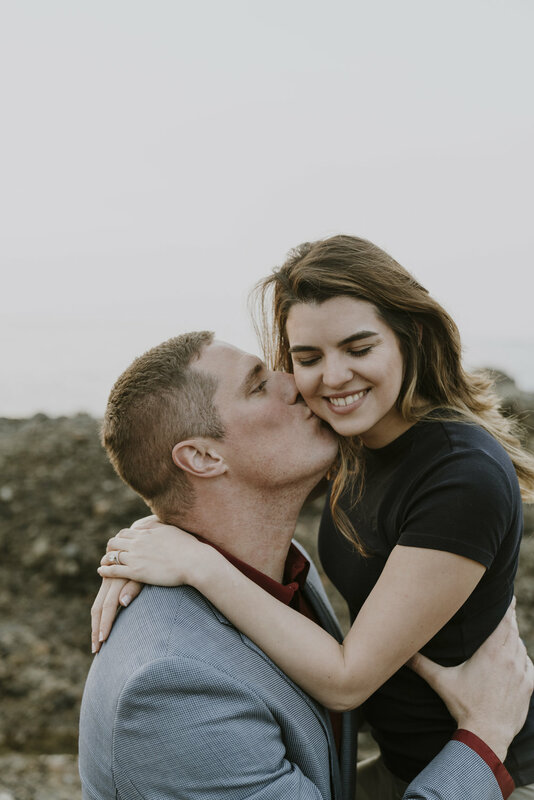 It was so special to see her their joy following their engagement and get to spend the next few days celebrating with them. 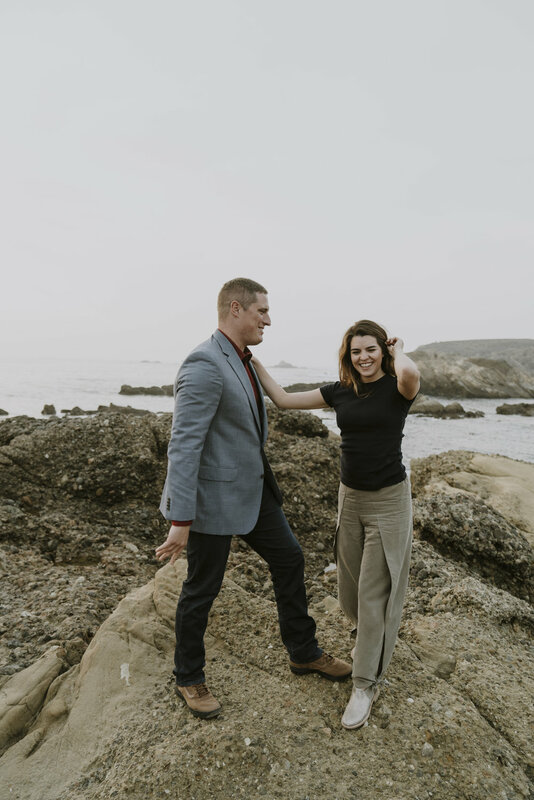 Call me a romantic, but I am a sucker for a good engagement story. 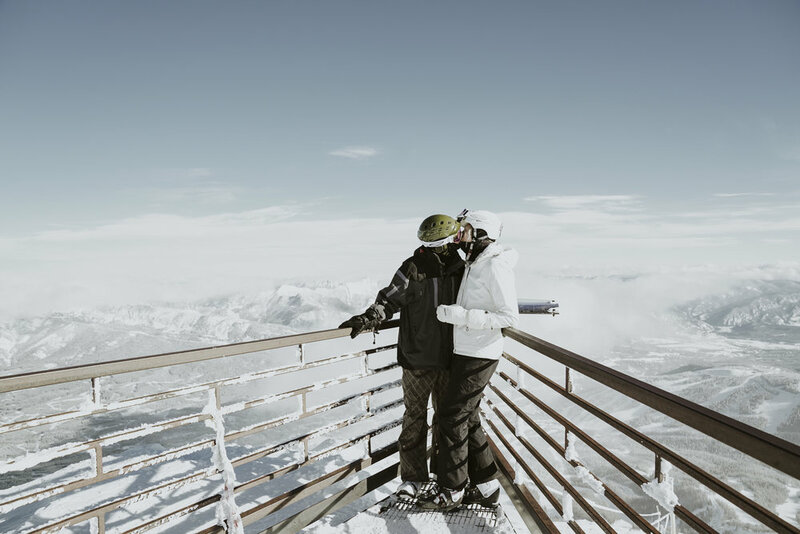 Dylan and Lauren, family in tow, took the Mountain Tram all the way up to the tippy top of Big Sky resort on Lone Peak. Once at the top after taking in a few of the incredible views, Dylan got down on one knee. The proposal came as such a shock to Lauren she almost didn't take him seriously. She said later she was wondering why he was fussing around in his coat only to realize what he was reaching for in the next few moments. Bonus: there are a few photos from their engagement at the bottom of this post.